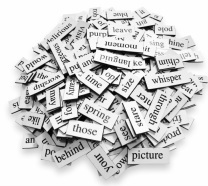 Lucinda’s career as a speech writer began because…..no one else wanted to do it. It turned out that writing speeches is dreaded almost as much as delivering them. During her career in the Australian Department of Foreign Affairs and Trade and the Department of Prime Minister and Cabinet she found herself writing short pieces for the Prime Minister and Foreign Minister. She then wrote full time for the Chairman and CEO of trade and investment promotion agency, Austrade. Ultimately she was brought into the Office of the then Finance Minister Kim C Beazley and worked on a series of broad-ranging policy speeches leading up to and during his appointment as Deputy Prime Minister in 1995. Following her public service career, Lucinda joined a management consultant firm where she worked on pitches, presentations to clients, and major business think pieces. She ran communications training courses for management consultants in Australia, Hong Kong, Beijing and Tokyo. Today Lucinda is a full time speech writer and author, and works with Chairmen and women, CEOs and senior business leaders across many sectors, in Australia and internationally. READ WHAT SOME OF LUCINDA'S CLIENTS SAY ABOUT HER SPEECHWRITING HERE.